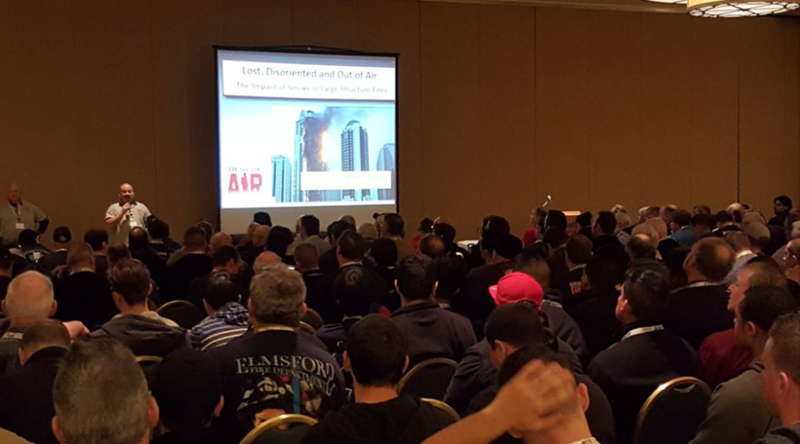 As more and more jurisdictions are adding FARS requirements to their local codes through adoption of Appendix L of the ICC 2015 International Fire Code, we thought this would be an opportune time to provide some links to FARS education and training resources available to the fire service. Below are links to three of the best. Many more are available on the RescueAir resource page here. The revised second edition of the Training Manual for Firefighter Air Replenishment Systems has just been released. It was co-written by Chief Ronny J. Coleman, former California State Fire Marshal and winner of the Tom Brennan Lifetime Achievement Award, and Chief Mario Trevino (ret. ), who was the Chief in San Francisco when that city became one of the first in the country to adopt a FARS code. 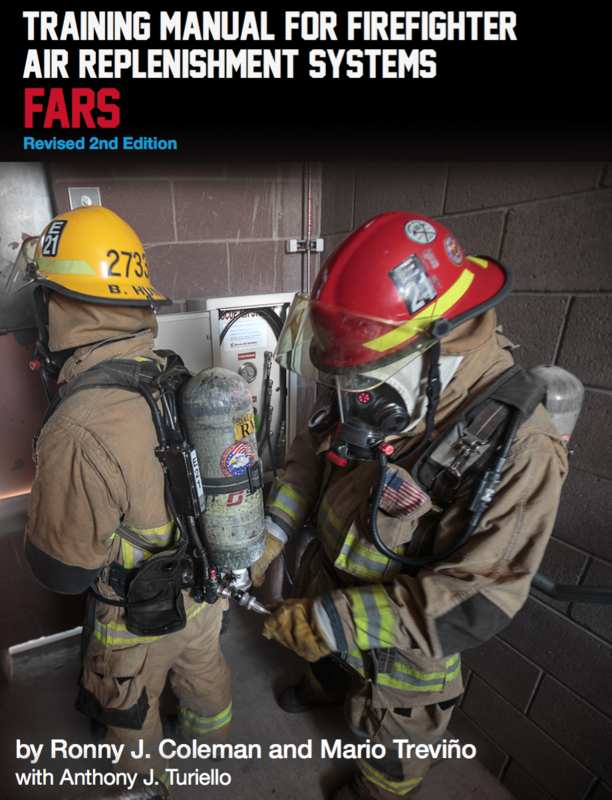 It provides a comprehensive look at FARS, from justification through proper utilization. For a free downloadable copy, click here. Bobby Halton moderates this informative discussion on FARS with nationally recognized high-rise fire safety expert and Tom Brennan Lifetime Achievement Award winner Jack J. Murphy, Captain Mike Dugan from FDNY, Chief of Special Operations Curt Isakson from Escambia County (FL) Fire Rescue and Assistant Chief Todd Harms from the Phoenix Fire Department, which was one of the first Fire Departments in the country to require FARS in new construction. Click here to view. For more frequent updates on FARS, like us on Facebook. You can find our Facebook page here. 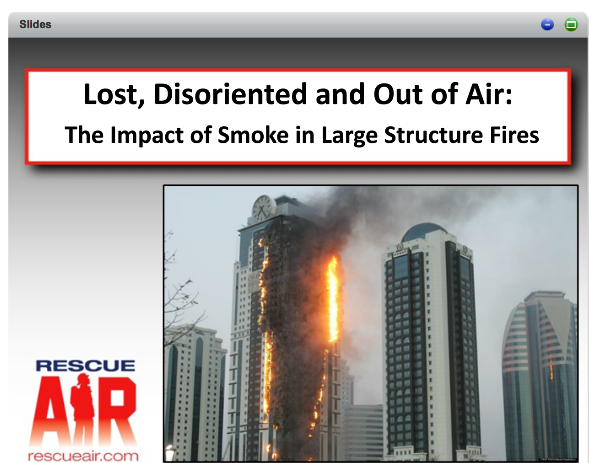 "Lost, Disoriented, Out of Air: The Effects of Smoke in Large Structure Fires"
If you missed the outstanding webinar presented by Mike Gagliano earlier this month, “Lost, Disoriented, Out of Air: The Impact of Smoke in Large Structure Fires,” you can view the archived version here. 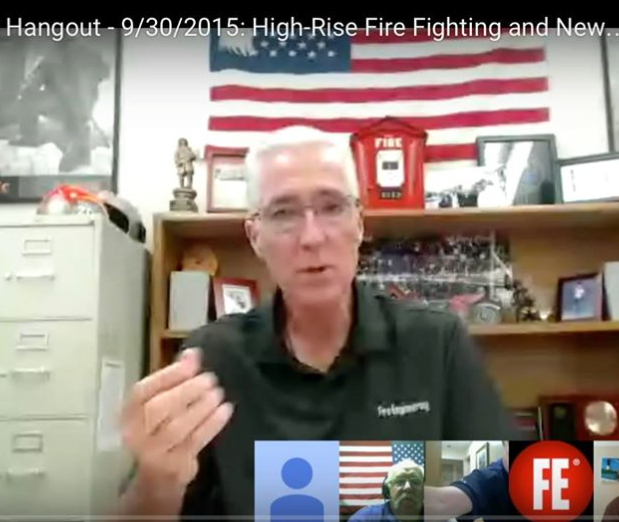 The webinar provides an in-depth look at how smoke impacts firefighters and fireground operations in the world of big buildings, including mid- and high-rises, "big box" structures, tunnel systems and more. Captain Gagliano is the co-author of the text book Air Management For the Fire Service and a noted FDIC instructor. Copyright © 2016 Rescue Air Systems, Inc., All rights reserved.